After clearing through our junk crafting box the other day I realised just how many plastic bottle tops we'd collected! We can't recycle them here so I throw them into our crafting box thinking they'll come in handy for something one day! 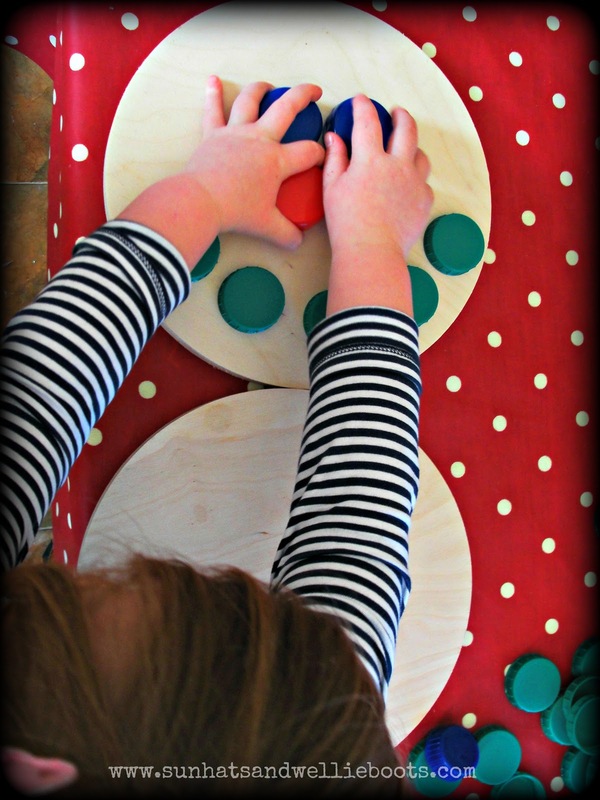 The colours of the tops were perfect for some festive play & with the addition of 2 round wooden mats I set up a play area for Minnie to explore. 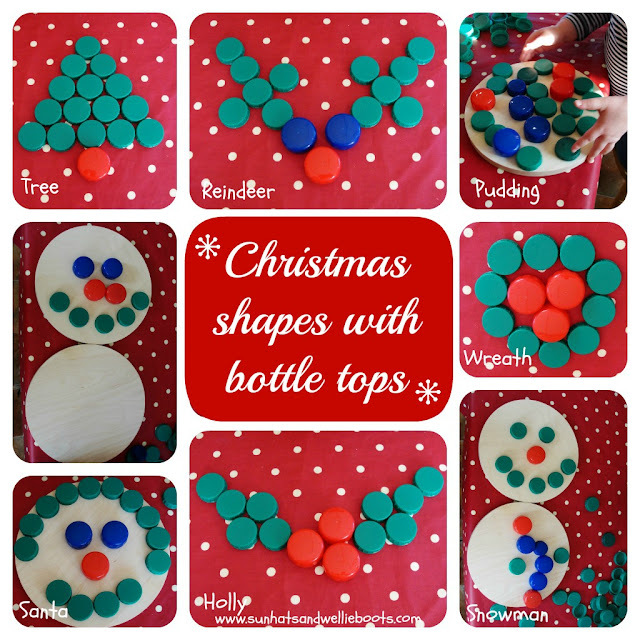 She arranged & rearranged the bottle tops, creating Christmas puddings, wreaths, snowmen, funny faces, & that traditional Christmas dish... pizza! It was great to see her imagination & creativity as she independently designed more & more patterns & pictures. 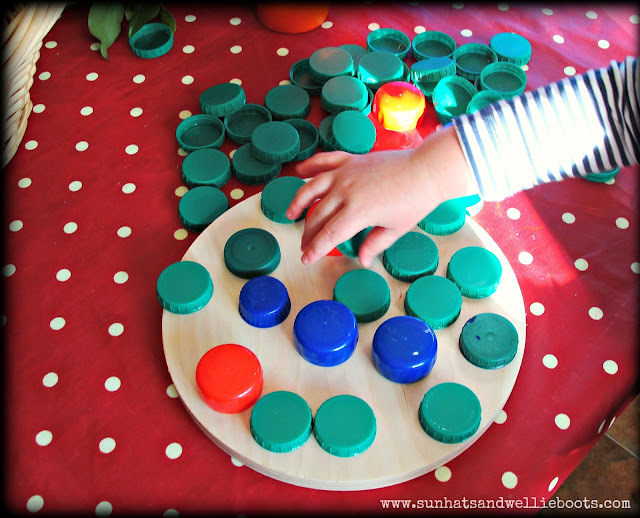 I left these bottle tops & mats out for a few days for Minnie to explore when she wished. She has since built towers with them, made a Christmas tree, & arranged them to create several letters & numbers, so exciting to observe! This is such a simple (& inexpensive) activity & offers so many play & learning opportunities. What would your kids create?